I thought it was high time I shared these Chocolate Chip Oatmeal Cookies with Toffee and Coffee with you. I’ve made them several times since last summer, when my aunt June passed them around the campground on Father’s Day weekend. My family stayed with my parents in their camper that weekend, claiming every last little bit of space available. Camping was such a regular part of my summers growing up, so it’s great fun for me to share that experience with our own girls, in the same South Dakota State Parks. My parents have made it a tradition to invite our family to camp with them at least once a summer, along with a handful of other campers inhabited with friends and family from home, and I’m so grateful for the memories these weekends of fresh air create. 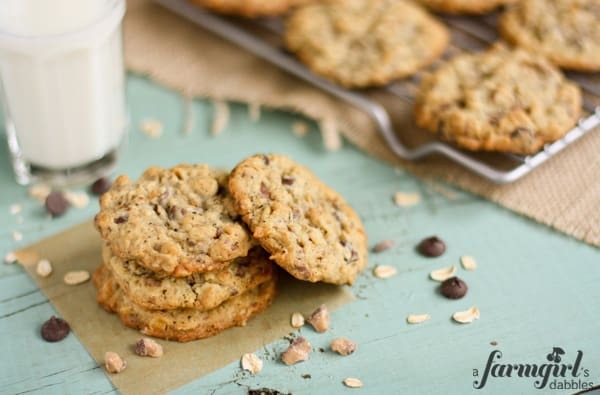 June makes these cookies with chopped pecans and toffee bits. My mom makes them without nuts and then doubles the toffee. And I seem to throw in whatever I’m craving or have available in the pantry. But how I’ve written the recipe here is how I like to make them when our pantry is full and prepared for a batch of these cookies. 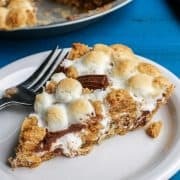 I like to incorporate both bittersweet and semi sweet chocolate chips, plenty of Heath candy toffee bits, and a bit of ground coffee beans. As time goes by, I find myself adding coffee in its various forms to more and more recipes involving chocolate. It’s a chocolate enhancer that has me hooked. These cookies make me happy with all the fun goodies going on inside. 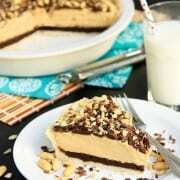 Using sweet and creamy butter, plus just a touch of peanut butter, they have a wonderful flavor base. 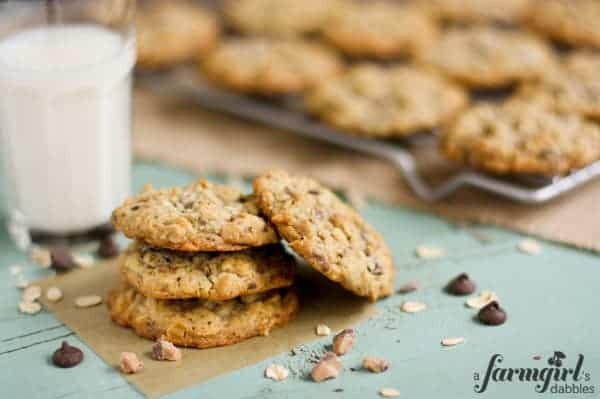 Add to that some oats and a variety of mix-ins, and you’ve got one batch of chewy and delicious cookies loaded with texture. 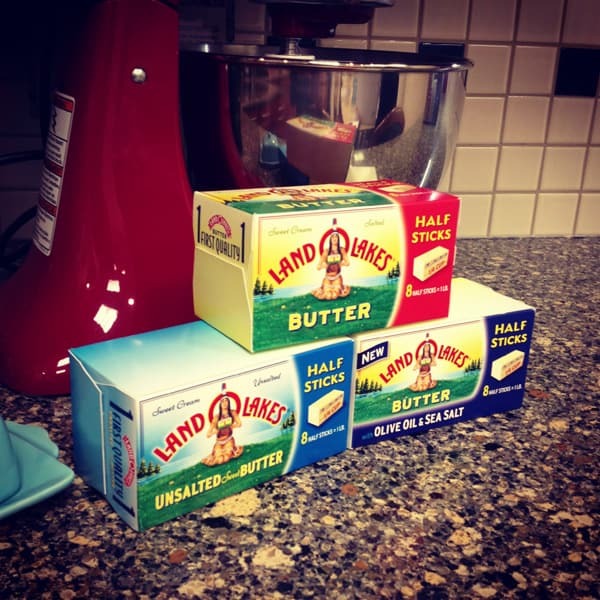 I am beyond thrilled to be partnering with Land O’Lakes this year, to be talking with you about their butter. Land O’Lakes is a farmer-owned cooperative and headquartered right here in Minnesota, less than a 20-minute drive from my home. And I was able to spend some time with them this week, what a treat for me! But the main reason I was invited to spend some time at Land O’Lakes this past week? 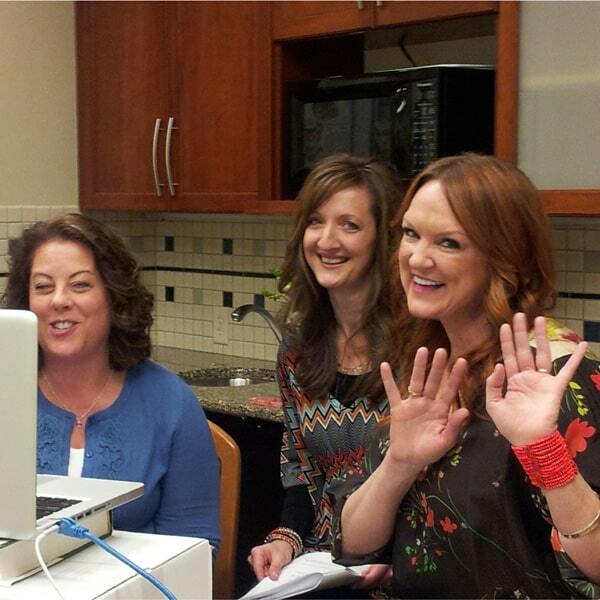 I took part in a webinar hosted by Becky and the one and only Ree Drummond, aka The Pioneer Woman. I must repeat…what a treat! Ree deserves every good word I’ve ever heard or read about her. She is sweet and kind and genuine. And I can say that even after she purposely poked me in the leg a number of times. Really, though, that was my own nervous fault. She was just trying to get me to loosen up and relax, for which I gratefully took a few pokes for. 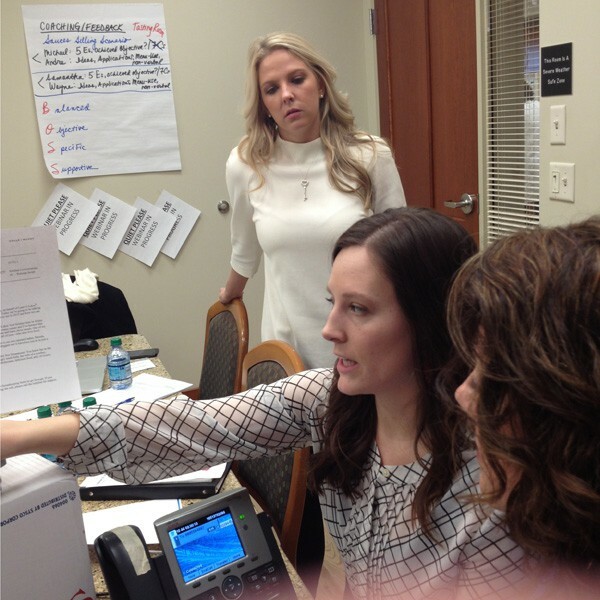 Johnna (left) and Allison (right), from Land O’Lakes PR, made sure the webinar proceeded just as they had mapped it out. 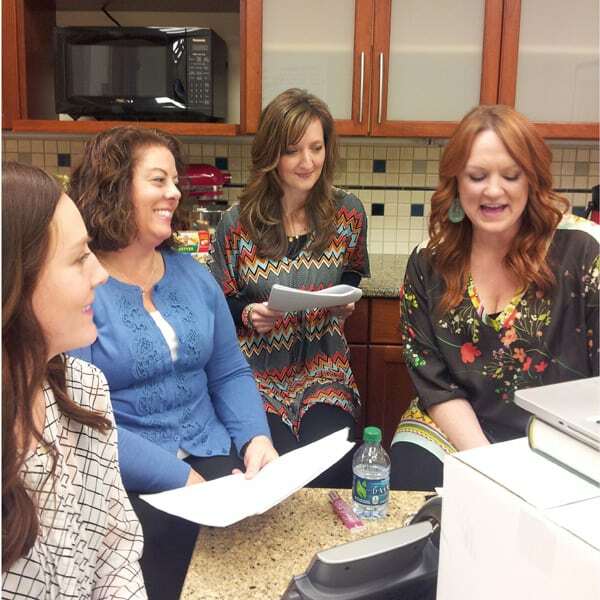 They helped to put together a small group of bloggers – Julie from The Little Kitchen, Maria from Two Peas and Their Pod, Sommer from A Spicy Perspective, and myself – to take part in a series of Kitchen Conversations with Land O’Lakes and The Pioneer Woman in 2013. Because I live just a few miles down the road, I was invited to join the webinar live. 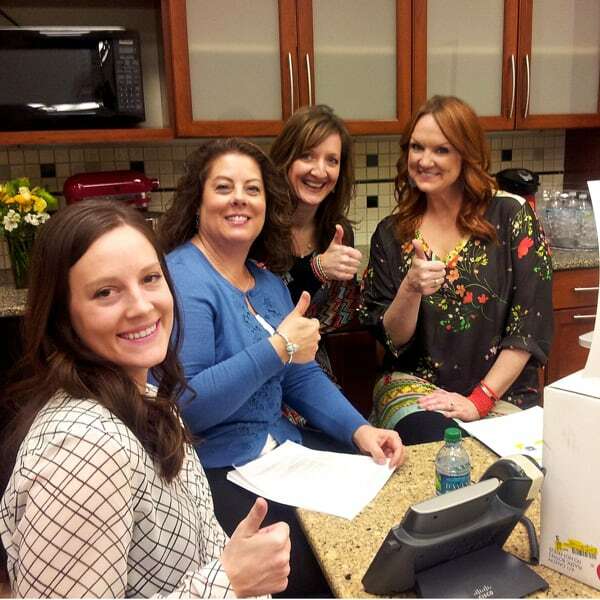 Julie, Maria, and Sommer called in from around the country, and we all talked about this year’s predicted food trends with other fellow food bloggers and friends who called in. We’ll all be sharing more of that conversation with you in another week or so. The grand finale of my time this week with Land O’Lakes and Ree was finally getting to eat at one of the hardest-to-come-by reservations in town, The Bachelor Farmer. I’ve previously tried in vain to nab a couple seats at the Dayton brothers’ (Governor Dayton’s sons) Nordic table, and now finally personally know why they’re so hard to come by. I’m sure this restaurant’s popularity has something to do with not actually offering lutefisk, although I’m certain this would be the place that could make it desirable. But Scandinavian cuisine hasn’t been so hip in this town since Marcus Samuelsson was in the kitchen at Aquavit, where I vividly remember sharing my first bite of foie gras with Blake, shortly after we were married. As I finished each course at The Bachelor Farmer, my plate was left as clean as I could muster with the utensils laid in front of me. I dared not clean my plates any farther, but I desperately wanted to. Yes, I enjoyed every last bite. And I definitely want to return, to explore the rest of their menu. The Bachelor Farmer’s space is wonderful as well. Housed in a historic brick-and-timber warehouse, the Daytons aimed to preserve its original character. We dined upstairs in the most awesome room. All four walls were covered in afghans! 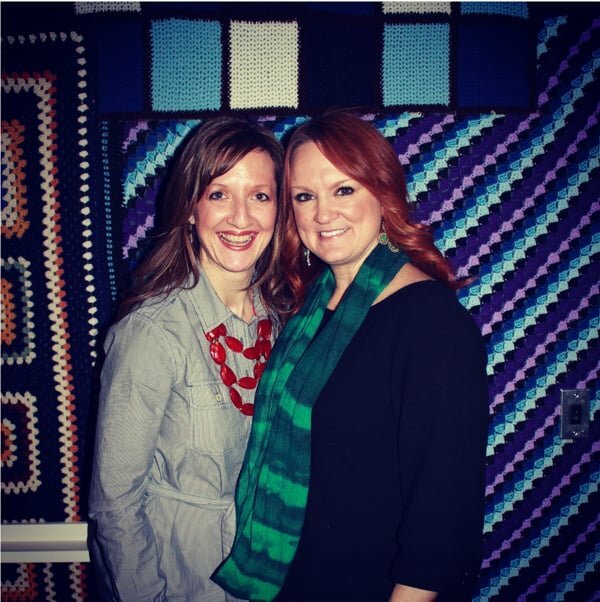 The quirky decor, created from yarn in all imaginable colors and geometrics, cozied up our meal and conversation that frigid night. A big thank you to all the great folks at Land O’Lakes for having me, and to Ree for being so down-to-earth-lovely and poking my leg. (Really.) I had a blast! In the bowl of a stand mixer fitted with a paddle attachment, beat the butter, peanut butter and both sugars on medium speed until light and fluffy, about 2 to 3 minutes. Add eggs and vanilla. Mix until combined. With the mixer on low speed, slowly add the flour mixture, mixing just until combined. Finally, fold in the oats, toffee bits, both chocolate chips, and coffee grounds until just combined. Drop dough by heaping teaspoons onto prepared baking sheet, leaving about 2 inches between the cookies. Bake for about 10 minutes, or until the cookies are a bit golden and the edges are set. Let the cookies cool on the baking sheet for 5 minutes and then transfer them to a wire rack to cool completely. Recipe comes from my aunt June Renelt’s recipe box, originally from Monty Rauser in the cookbook “A Colorful Taste of Shiloh” from Shiloh Christian School in Bismarck, ND. I have adapted the original recipe quite a bit. 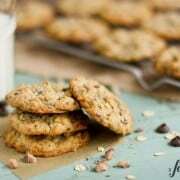 Pingback: Chocolate Chip Oatmeal Cookie Recipes - 12 Recipe Round Up! Ground Coffee: Is that instant coffee or coffee beans you buy and grind up yourself. Hi, Jackie! I use ground coffee beans. This is so fun Brenda. I’m jealous and I want to be apart of butter magic! :) Anyway your cookies are gorgeous! Those cookies are the perfect mix of crunchy and chewy. Oh, and I’m officially jealous. Ree doesn’t know this, but she’s my new Sunday morning workout buddy. I hit the treadmill while watching her show on the Food Network. I would love to meet her sometime! These look sooo good…I can’t wait to give them a try. I may try a sugar free version. These cookies look and sound absolutely amazing. I would happily munch on them around the campfire or right at home. Very cool! That looks like such a great experience! What a fun experience Brenda!! Sorry I had to miss the webinar, I bet you were great! Wow what a great time and the cookies sound so good! So glad to see you had fun. 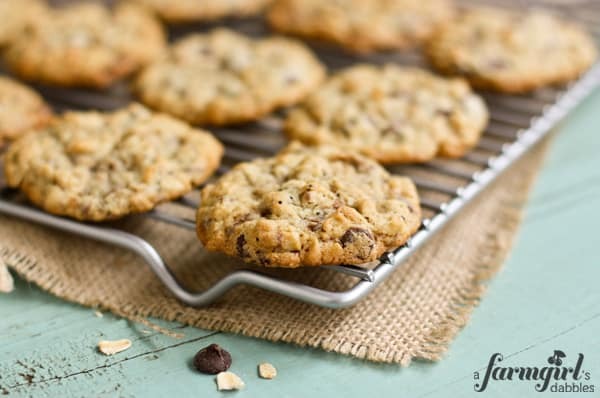 Congrats and thanks for yet another fabulous cookie recipe! These cookies look great and looks like a FUN trip too! what a fun experience that must’ve been! I am so looking forward to meeting Ree in April and even more so now after reading your encounter with her. So fun! I can’t wait to hear more about this webinar. Oh…and the cookies. I can send you my address. :) YUM!!! So cool! And these cookies look amazing! Looks like so much fun! And I’m dying for some of those cookies now. Congratulations on this partnership with Land O’ Lakes!!! How wonderful for you Brenda. Your cookies look delicious and a great way to give this partnership a fabulous kick-off! Love seeing your smiling face! The look on your face tells your Dad and me that you had a blast at Land O Lakes with Ree. And I have to admit I have probably eaten a few too many of these yummy cookies; thanks to June! These sound delicious!! And I’m so bummed I missed the webinar, the timing just wasn’t right for me. I bet it was a ton of fun! I loved hearing you speak! You guys had such great ideas! Thanks, Angie – I’m so glad you were able to join in. Have a great weekend! These look like cookie perfection! You did such a great job, Brenda. A natural! Love the cookies, you, and Ree! Isn’t she a kick in the pants? Wow Brenda! You are a “star”!!! What a great honor and it could not have gone to a better down-to-earth person who is truly talented! It sounded like you had a really nice time. I love your writing as you make a reader feel like they are there with you–that is truly a gift! 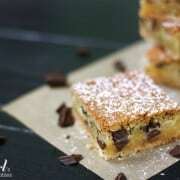 These cookies sound really yummy and I have saved the recipe because I WILL make them! Happy Friday! Brenda, looks like you had a fantastic time! And the cookies look delicious! I was so honored to listen in on the webinar. I couldn’t tell you were nervous at all so those Ree pokes must have really helped! Loved being part of the webinar it was really great! I love these cookies and can’t wait to try them. It was fun to hear your southern voice from WY! :) Thanks, Milisa! 1) These cookies — YUMSAUCE. 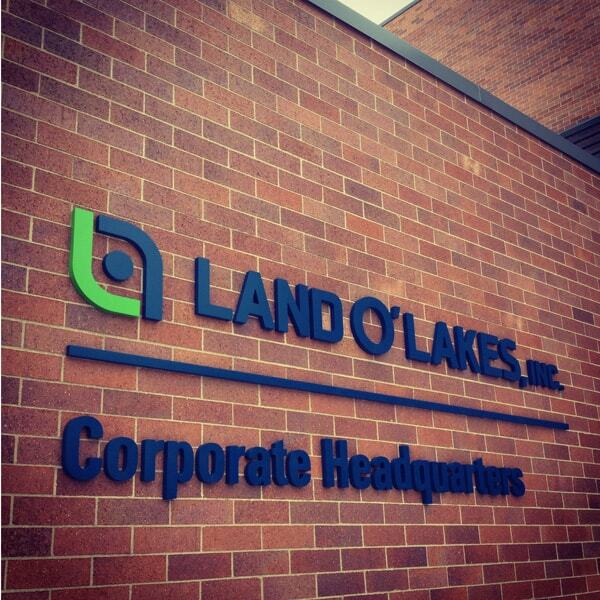 2) I totally live approximately 4.5 minutes away from the Land O Lakes headquarters! How fun that you got to go there! 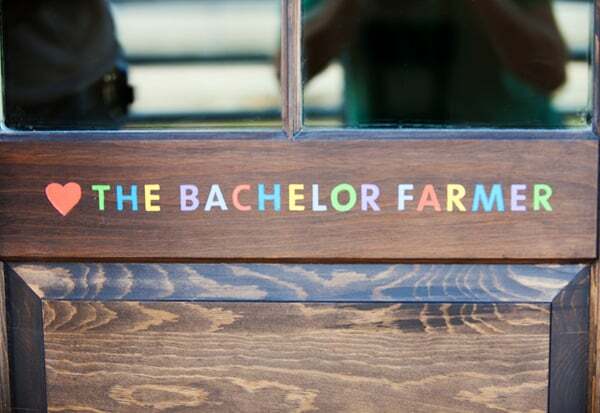 3) I also experienced the magic that is The Bachelor Farmer last weekend (we went for their Sunday supper) and I died of happiness in my date cake dessert. 4) Yay for meeting Ree! So nice to hear from you, Stephanie! That Sunday Supper at TBF looks so intriguing to me. Good stuff! Stephanie – we have to get together! We are literally 4.5 minutes away from the headquarters too!!! 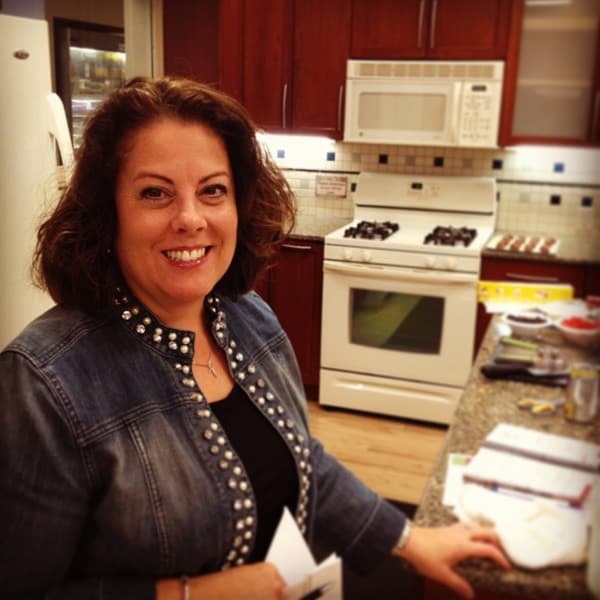 Brenda – next time you’re in the area, let us know :) The partnership you have with them is going to be such fun! Can’t wait to see what you cook up. What a fun chat and I’m so glad you had the opportunity to meet Ree in person. She is so charming! Loved chatting with you this week:) I wish we could have all been in MN together…well, maybe not since it is freezing:) Hurry up Austin! Love the cookies! I am SO looking forward to Austin (and its warmth! ), having us all together, and finally meeting you!!! Ooooh! Gotta try these soon! Thanks, Amy – was fun to hear you, too! This is so awesome, Brenda!! I can’t wait to hear more about it! It was a great experience with great people. Thanks, Cassie! So fun, Brenda!!! So glad to be working with you!! Can’t wait to finally meet in person in may!! Ree is so sweet, love all if these pictures & your cookies!! !